Isabelle Nicolas is a promising Canadian and French lyric soprano. Her French and Belgian grandparents initiated her to opera and classical music while her Canadian parents nurtured and encouraged her to reach the highest levels. 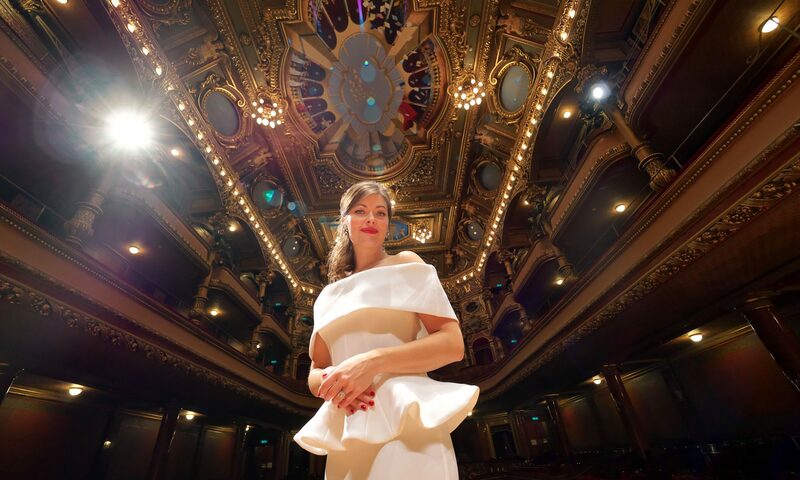 Known for the beauty of her full and natural lyric soprano voice, she is above all an artist whose rich interpretation communicates directly with her audience. Alongside baroque ensemble La Félicité, she received in 2009 the first prize at the prestigious Canadian Music Competition and won both Clermont-Pépin and Sillery Music Competitions in 2010. Isabelle was a member of the AIMS Opera Studio in Graz, Austria, and has been the recipient of a number of grants from Le Conseil des arts et des lettres du Québec, Le Conseil de la culture de Saint-Hyacinthe, and McGill University. On the opera stage, she has performed Vénus (Hélène, Saint-Saëns), la Femme (La Voix humaine, Poulenc), Micaëla (Carmen, G. Bizet), Altisidore (Don Quichotte chez la Duchesse, J. B. de Boismortier), Cendrillon (Cendrillon, Massenet), and Contessa Almaviva (Le Nozze di Figaro, W.A. Mozart). Isabelle did her European debut in 2011 as Melia in a new production of Mozart’s Apollo et Hyacinthus presented by the Freies Opernensemble München in Munich, Germany. On the concert stage, the soprano has been performing in several concerts devoted to French, Italian, and German repertoire, presented in Canada, Germany, Switzerland, France, and England. In August and September 2017, Isabelle performed in South Korea and Japan with the United Nations Singers of NYC during their ”Peace & Unification Concert Tour”. She lives in Geneva, Switzerland, with her husband.